All over the parkrun world last week there was joy, pride, and even the odd tear shed at the news that our founder, Paul Sinton-Hewitt had been awarded a C.B.E. in the Queens Honours list. Never was an award more thoroughly deserved. We were touched when Paul announced that he would be accepting the award on behalf of everyone who has helped to grow and support parkrun. 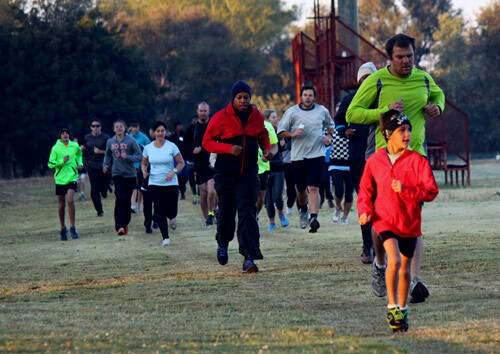 It has been really exciting to see how parkrun has grown in South Africa. Despite the cold winter weather we are still growing by about 2000 new registrations a week and we are now 32 parkruns strong. We have passed the amazing milestone of 100000 registrations. It has taken us just over 2 ½ years to grow from 22 registered parkruns to 100000. We can all be very proud of our part in creating healthier, fitter South Africans. 150000 before the end of the year? While this is exciting news there are always one or two hitches. One problem with our growth is that so many parkrun people are not aware that parkrun is a brand and is spelt “parkrun” (All lower case, one word) We have seen all sorts of variations but there is only one correct spelling. I am sure our technical sponsor “adidas” would sympathise. This year parkrun will be celebrating its 10th anniversary on International parkrun day 10th October. To mark this occasion a coffee table book is being compiled. If you believe that you have a very special parkrun photograph please see this link to submit your photographs. Our most recent parkrun launch proved to be our first in the Limpopo province. The Mogol sports clubhouse in the town of Lephalale (Formally Ellisras) is the venue for a stunning parkrun on the golf course. A beautiful feature of the parkrun is the number of giant Marula trees scattered around the course. Neels Gerber and Denise Hildebrand head up a motivated team of volunteers, and Mogol parkrun is going to be one of the most popular parkruns in SA. It was heart-warming to see so many parkrunners from other parkruns came to support this new parkrun and there was a good sprinkling of 50 and 100 club parkrunners at the Mogol inaugural. 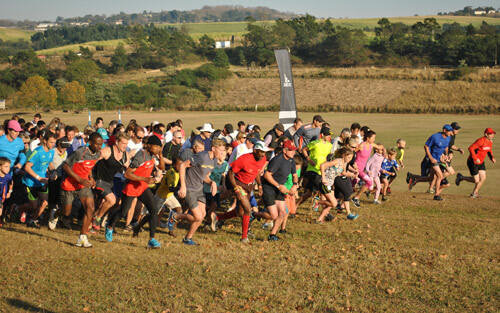 We hope that a good few of them will attend our next launch , the ground-breaking Cannibal’s Cave parkrun in the foothills of the mighty Drakensberg Mountains. REASON: Problems with capturing times occur when a timekeeper clicks a parkrunner in for a second time and that parkrunner then does not receive a position token. All times from that current position onwards are thus incorrect. This is known as ‘Funnel Ducking.’ Effectively, each Funnel Ducker causes the finish positions to become out of synch with the times by one position. It is almost impossible to work out where the discrepancy arose later, during results processing. The main reason runners give for leaving the funnel prematurely, is that "I don't have my barcode with me so there's no point getting a position number" or “I have already completed my run and now I was only running in with my friend”. All runners MUST (once they have crossed the finish line) take a Finish Token and be scanned. This allows the positions and times to stay in synch without correction, and that athlete will appear on the results automatically as Unknown Athlete. How does the parkrun timing work? I am asked on a regular basis, how the time-keeping at parkrun is managed. The process is actually very simple, however, there is a lot more that happens behind the scenes that parkrunners can sometimes take for granted. When you register with parkrun, your details are loaded into a database which is only accessed by the parkrun results and newsletter software. Your name is stored along with a unique number as a reference. 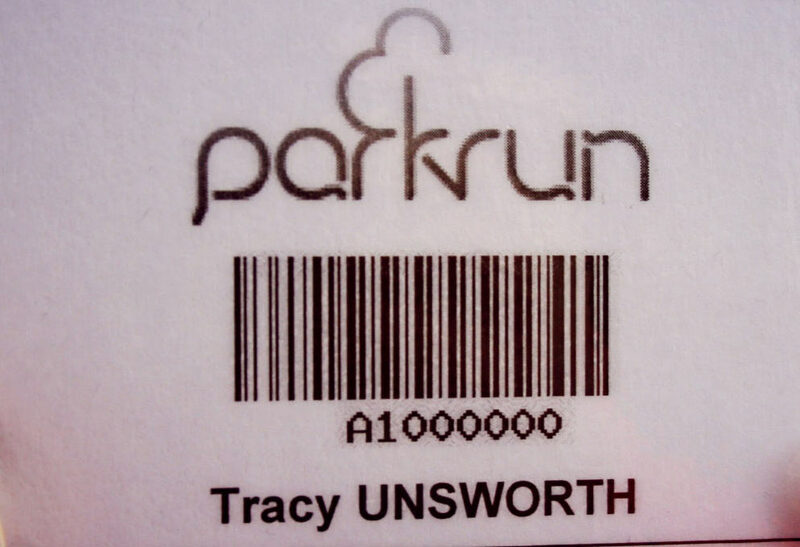 This number is printed out as your personal barcode and brought to each parkrun event. As the parkrunners set off at the start of a parkrun, a volunteer presses the start button on the stopwatch and timing begins. As each parkrunner crosses the finish line, a volunteer clicks the lap button on the stopwatch. This records each person's time before they collect a position token from the next volunteer. 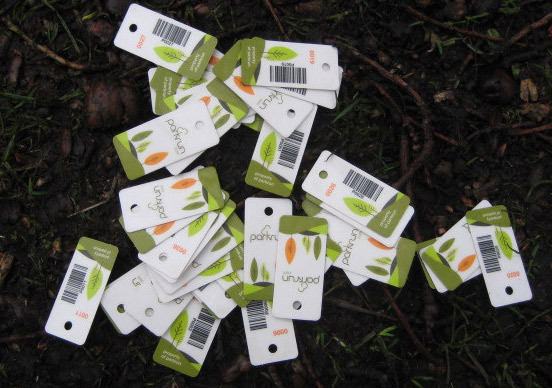 The position token allows the event to use multiple barcode scanners and volunteers thereby eliminating the necessity for parkrun finishers to remain in any order when being scanned; as long as everyone's personal barcode is scanned followed directly by their position token. After the last person has crossed the line and has been scanned, volunteers pack up the equipment and head off home or to the local coffee shop. Now it is time to capture the names of volunteers and upload the results. The scanner is connected to the computer and the data file containing the barcodes is transferred to the hard drive. The same process applies with the stopwatch. The next step is to log on to the parkrun processing website. The files are uploaded and thanks to technology and skilled programming by parkrun IT experts, the times are automatically synchronised with the positions! Finally, the volunteers are entered next to the positions they served on the day so that they may be assigned points for their effort. All is complete and the results are queued and ready to be sent out from the UK. The remaining volunteer tasks that need attention before the next week's event can take place are to clean the position tokens, sort them, find and replace any missing tokens, clear the barcode scanner memory, recharge their batteries, and reset the stopwatches. If nothing else, I would like to point out that the word “volunteer” appears eight times in this article. parkrun is a community effort and everyone would like to participate in the event and not have to volunteer week in and week out. It is easy to leave your details with the volunteers after each event for the following week. Alternatively, you may contact parkrun events via their office email address which is found on the website, Facebook or twitter. The parkrun SA team would like to encourage everyone to experience what goes on behind the scenes and to volunteer at least three times per year. It is easy! You will be briefed before the start of the event and the event director will help you until you are comfortable with the task. You will leave with a greater appreciation of the volunteers every time you participate. If you’re exercising to lose weight, aim to lose approximately 0.5kg a week. Coupled with a healthy eating plan, this will help you to keep it off. If you’ve been diagnosed with diabetes, you should take an active interest in managing your disease. Your goal should be to exercise at least three times a week, with each exercise session lasting at least 30 – 60 minutes. The June edition of our Media Partner, Modern Athlete Magazine, is available online now! Subscribe to Modern Athlete here. On Saturday 7 June, Bryanston parkrun, together with the Bryanston East Community Forum hosted the annual ‘Spruit Day’ cleanup of the park and surrounding area. A big thank you to all who got involved in helping to clean our parkrun route. 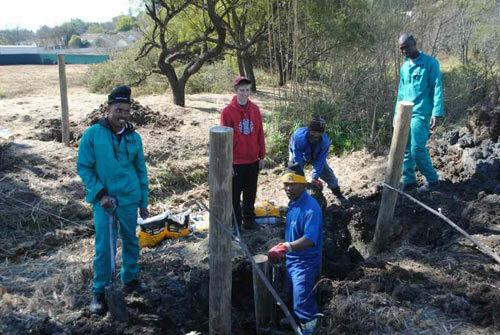 The Community Forum installed new bins along the route as well as supplied materials for the new bridge that is being built by the 1st Scouts of Bryanston. The bridge will be complete in time for this weekend’s parkrun. We simply cannot thank the involvement of the community enough! 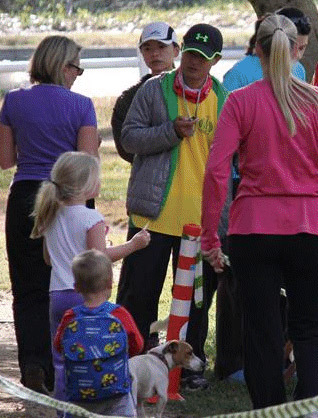 On the 24th May 2014, Uvongo parkrun was pleased to host families from Round Table South Coast KZN for their very first parkrun Day, which they intend making an annual event. We had visitors from Port Shepstone, Amanzimtoti, Kokstad, Sani, Kloof, Watercrest and Margate. It was wonderful to see these visitors from far and we commend them on making the trip to enjoy a parkrun at the sea. It was especially inspiring to see them visiting as whole families and later hearing the feedback about what a wonderful weekend they had away, all of which entered around a parkrun. 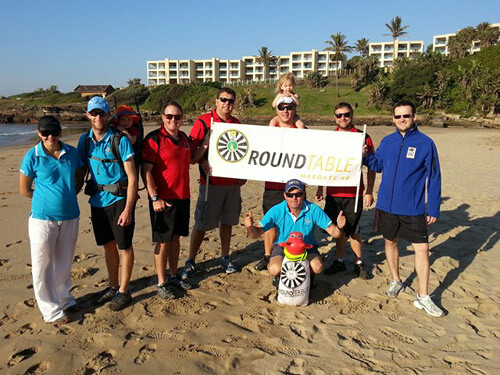 Round Table South Coast KZN is requesting to challenge all other Areas in South Africa to do the same at a local parkrun in or out of their province. 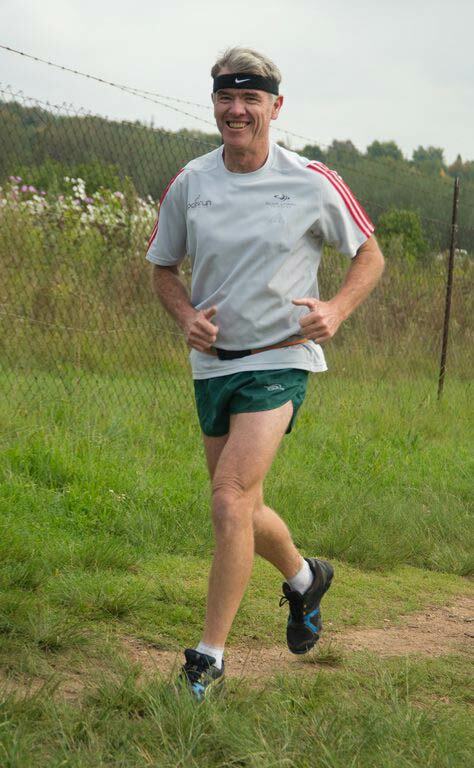 It is always sad to have to say goodbye to a regular parkrunner, and even more so to bid farewell do our most dedicated and faithful parkrunner, Philip Prinsloo and his wife Julie, who have moved to Durban. Phillip was our very first 50-Club parkrunner at Uvongo and led the way with most parkruns. Philip has assured us that he can’t miss a parkrun and has in the subsequent two weeks lived up to his word and completed both North Beach and Shongweni parkruns. We wish Philip and Julie well in Durban and will miss their cheerfulness, which was a big part of Uvongo parkrun. Matthew Lindabaum achieved his 50 Club status on the same day, which was an excellent lead up for running his very first Comrades the following weekend. Well done Matthew! Shongweni parkrun celebrated its first birthday on 14 June 2014 with a record (since surpassed) 251 runners. 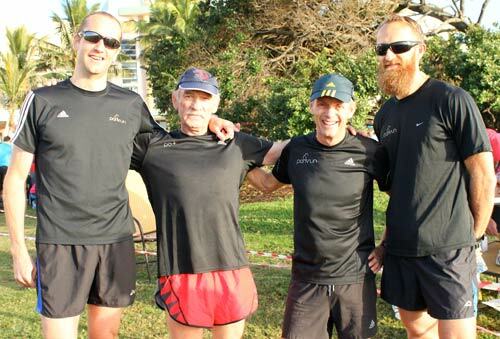 The parkrun owes its foundation to the efforts for Gill and Bruce Fordyce, Jenna and Stefan van der Merwe and Erita and Pete Garthwaite. We were blessed with wonderful KZN coastal winter conditions with sunny skies and a crisp, but positive, temperature. To mark the occasion we had a cake showing pictures from different events together with our parkrun banner and sponsor’s logos ready for ceremonial cutting. Additionally, Tracey Whiting and Ruth Archer put their baking skills to the fore and prepared a wrapped brownie for every participant. Ruth also made up a Birthday banner for display at the finish tunnel. adidas and Lungile Health provided lucky dip prizes with the latter also providing sachets of water for the event. The occasion was also used to award 10 Club certificates to Melissa Padbury and Rory Camp, whilst Sam Heynes received his 50 Club T-shirt. The points winners for 2013/14 were announced and Hayley Mackinnon and King Chipara were delighted to receive vouchers sponsored by parkrun SA. Shongweni continues to grow and is set to be welcoming 300 participants in the not too distant future. At event 54, were also able to accompany Stuart Clark celebrate his 50th run with a red 50 Banner and we expect to see another of our members reaching this milestone within the next fortnight with others also closing in towards their 50th run. On behalf of Jason Huntley and myself and every Shongwni parkrunner , I wish to thank Gill and Bruce and Jenna and Stefan for their support and guidance towards Shongweni and we look forward to an exciting second year. I joined the parkrun community so that I would have a run whenever there was no Saturday race. Earlier this year, when she took up walking and then running, I introduced my wife to parkrun. We both have Roodepoort as our Home Run. She has been visiting her Aunt in Scotland and, needless to say, she sourced the parkrun in Aberdeen, which she completed on Saturday, her 10th run. As seamlessly as ever, her result came through to her via email, a PB and 5th in her age category, which she proudly forwarded on to the family. It is so great to be part of this world-wide family and know that in so many places, there will be a parkrun waiting to be run. Favourite volunteer role: only done scanning. I enjoy it and will love to try other volunteer tasks too. What do you like about volunteering at parkrun: I do all the Sunday races, and while always greeting and thanking all the marshals, volunteers and police officials that makes races happen, I feel I still owe the running community a great favour. Thanks to parkrun, I have the chance to give back to the community, helping people to enjoy what I enjoy the most (which is running), passing on the favour and help runners and walkers reaching or keeping their health goals - mentally and physically. Most memorable or funniest parkrun volunteering moment: Working as a scanner trying to be as efficient as possible as to avoid long waiting cues (my apologies, as the cue does still build up very quickly) means that my head was always down focused on bar codes and position tokens with out lifting my head to see people's faces. I'm very happy to be greeted on the streets and during weekend races by fellow parkrunners as "Mr. parkrun", although I don't know your faces, it put a big smile on my face. How can we improve and encourage volunteering at parkrun: I don't know, give them a beer and a hug from Trevor? lol. Maybe try to take photos of people that participated (runners and volunteers), and load the photographs onto facebook for them to try to find, download and tag themselves. People are always happy to see themselves. In this edition of the SA parkrun newsletter, PE’s Hobie Beach boasts their ‘one-in-a-million’ parkrunner. Gill and Bruce Fordyce meet with parkrun country directors from across the globe. 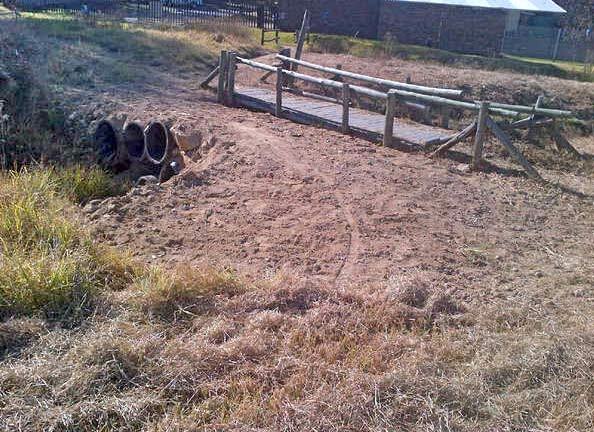 Delta Park parkrun builds a much needed new bridge. Don’t forget to read about the featured parkruns in the June edition of Modern Athlete’s digi-magazine, available now. Finally, Discovery Vitality brings you more health tips! As we are all aware parkrun has passed a number of significant milestones in the last few months but none was as significant and exciting as that of the millionth parkrun registration. 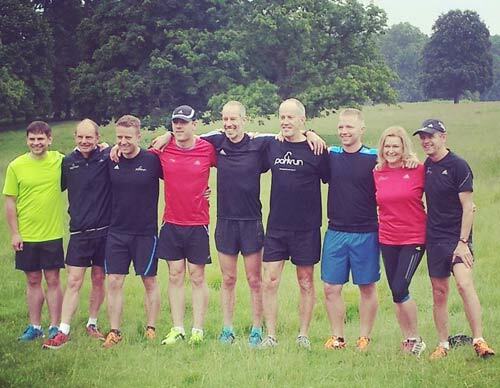 In just under 10 years parkrun has grown from the 13 parkrun pioneers who ran the first parkrun in London's Bushy park to over a million registered parkrunners worldwide. Excitement reached fever pitch last month when the milestone drew nearer and nearer. Would the millionth parkrunner be English, Australian or perhaps a South African? We were obviously delighted when Tracy Unsworth from P.E. 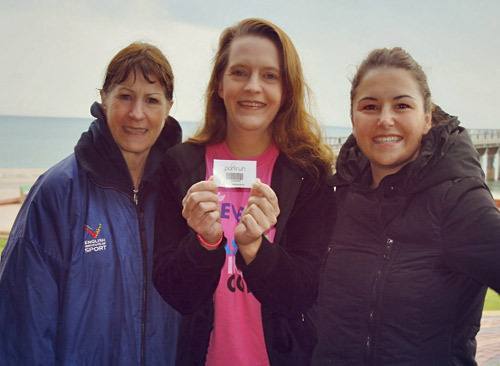 Hobie Beach became the millionth worldwide parkruner! Now let's see a South African parkrunner become the 2 millionth parkrunner in a couple of years time! Bruce and Gill have just returned from a parkrun conference in London where they spent 3 days in meetings with parkrun Global and the country directors from the UK, France, Ireland, Italy, Russia, Australia, Singapore, New Zealand, Denmark and Poland. The meetings were very exciting and intense and everyone left with a common sense of purpose and direction. There are truly exciting times ahead for parkrun. The conference wasn't all just hard work however and there was time for the country managers to run a parkrun at the beautiful Richmond parkrun. Anyone who has seen the Youtube of "Fenton the Dog" will understand how funny it was for the runners at Richmond when a herd of deer cantered into us. Those who have never watched YouTube "Fenton" please click here and have a laugh at the thought that the Fenton incident occurred very close to the Richmond parkrun route. Internationally new parkruns are expected at all our parkrun territories including Russia, France and Italy. Closer to home a parkrun will start at Mogol / Ellisras on Saturday 14th June and at Cannibals Cave Drakensberg on the 28th June. We all know that the volunteer spirit is what drives parkrun and that at times volunteers go beyond the call of duty. This was particularly the case at Delta Park where Patrick Pittard borrowed a crane from his company, gathered a team around him and completed major alterations and changes to the route to eradicate bottlenecks. He even constructed a new bridge. If you’re training for a single or multi-day trail event, make sure you have enough nutrition and water to sustain your body. Always try out new equipments, foods and water supplies before race day to make sure you know what works for you. The Ultimate Human Race and the humble 5km North Beach parkrun combined forces this last weekend to produce a stunning parkrun at North Beach. 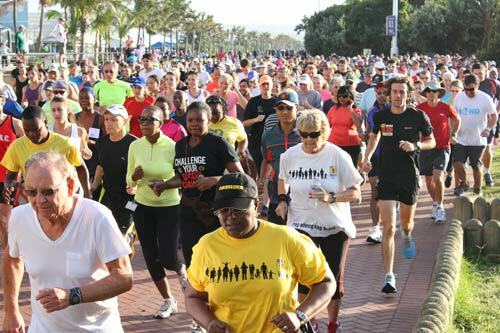 Durban experienced an influx of runners from all over the globe many of whom are parkruners. And so it was an obvious that many parkrunners would participate in a local parkrun the day before Comrades. Shongweni parkrun, Dusi parkrun and Uvongo all welcomed lots of visitors. North Beach in particular has become renowned for its pre Comrades turnout. We take pride in the knowledge that we are becoming something of a pre-race ritual. We like to encourage runners who are contemplating the 2015 comrades to join us next year! A whopping 945 runners and walkers joined us that day. Included in that attendance record number were Bruce Fordyce and his lovely wife Gill, and several 100 club members, including Grant Russel, Dieter Meyer, James Ellis, Jacqui Millett and Tracy Rankin. The star of the show however was James Russel a club 250 member, James was one of the original parkrunners who ran that very first event in Bushy park 10 years ago this October. Of course our regulars who make the North Beach parkrun so special were there in droves. Our community of runners is growing, but we still like to refer to ourselves as a small group of runners who get together for an enjoyable 5km every Saturday. If you are in the area please pop in and parkrun with us! Hi Trevor, It was great to meet you and your colleagues at the Lonehill parkrun. You made such a big deal of my 200th parkrun, I only hope you can capitalise on it. You certainly have a great community there who made Pat and I feel very welcome. We are now back in South London, and the weather has been glorious today. We have fond memories of your parkrun, and the leopards and tigers, and action netball, and the food and wine and people, and weather. And I've still got a bottle of champagne to enjoy, soon.